I don't have a really structured year-in-review type post prepared, but I just wanted to do a quick wrap-up of my 2012 challenges, awesome books I read last year, my most popular posts, etc. I didn't quite reach my goal in the Mount TBR Reading Challenge. I'm planning for this to be one of my big areas of improvement! I exceeded my goal (78 books) in the Outdo Yourself Reading Challenge, finishing 90 books in 2012! I read 7 Anne Rice books for the Anne Rice Reading Challenge that I hosted. My goal was a lot more than that, but that was just unrealistic! I'm hosting the challenge again in 2013. I read a book for every letter of the alphabet for the A-Z Reading Challenge! I had a blast with this one, and I'm participating again in 2013. 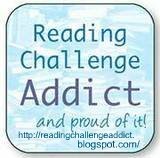 See my 2013 Reading Challenge Addict post for all the challenges I'm doing in 2013. I finally read The Mists of Avalon by Marion Zimmer Bradley, which gave me a whole new appreciation for Arthurian legend, but probably made it impossible for me to ever again enjoy a non-feminist, non-pagan version of the story. I read MWF Seeking BFF: My Yearlong Search for a New Best Friend by Rachel Bertsche, and it was awesome. It inspired me to make more of an effort to do things with other people, outside of my home. I joined several Meetup groups because of it (one of which I'm now the organiser of), and met some amazing people. 2013 Anne Rice Challenge - This post quickly rose to the top, thanks to Anne Rice herself posting the link on her Facebook page! A Series of Unfortunate Events by Lemony Snicket - For some reason, my review of this series has consistently been one of my most popular posts since I wrote it a year ago. Search terms related to the series are also the most common search terms that bring people to this blog. John Dies at the End by David Wong - My review of this very weird book has also had consistently high page views since I wrote it in April 2012. My About, R.L. Stine Books, and Reading Challenges pages are my next most popular pages. 2012 was my first full year of writing this blog, and it's been awesome. 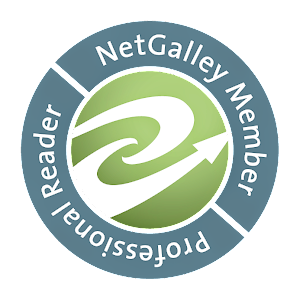 I just want to thank everyone who's read this blog, but especially everyone who's commented, or otherwise made me feel like I'm really a part of the book blogging community. You guys rock. And I wish you all the best in 2013! Lianne: You have one of my favorite book blogs! I seriously loved your challenges (A-Z was my favorite), and I love your enthusiasm for books. So glad you're here! Aww, thanks Sally! :) I've really become addicted to those challenges. There are such fun ones out there! Happy New Year, Lianne! 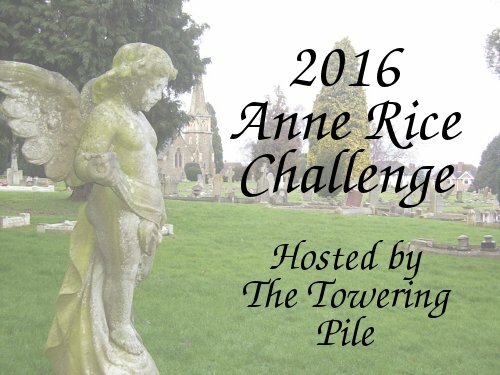 I'm thinking of joining you for the Anne Rice challenge. I really need to catch up on my favorite author's books. Congrats on your accomplishments! You read a lot of books this year!